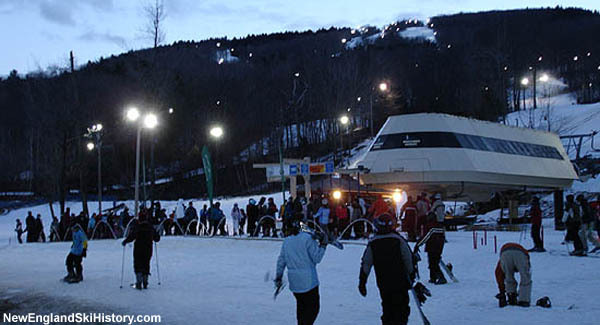 Located on a 2,006 foot tall mountain, Wachusett Mountain Ski Area is one of the most popular ski areas in the Northeastern United States. The origins of Wachusett Mountain Ski Area date back to trails cut by the Civilian Conservation Corps starting in 1934. While these trails were popular venues for ski races during the 1930s and 1940s, skiing on Wachusett would soon focus around lift service. Due to its eastern location, the Pine Hill Trail was not incorporated into the ski area. Though there had been proposals dating back to the 1940s, a lift served Wachusett Mountain Ski Area may have had humble beginnings circa 1960, likely operating with a rope tow. Meanwhile, state championship races continued to be held at the mountain. 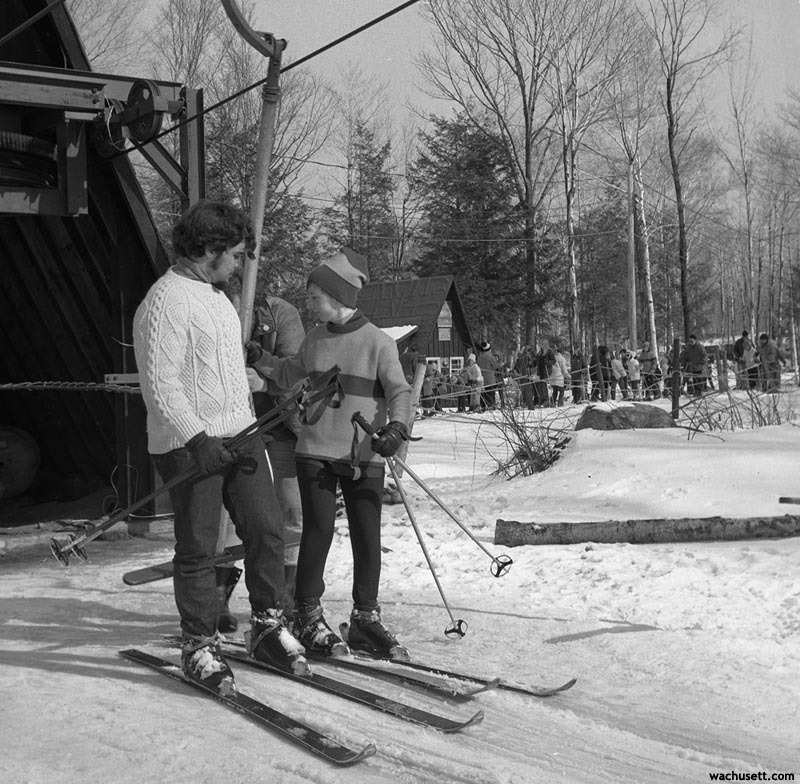 The Commonwealth of Massachusetts authorized a quarter million dollar taxpayer funded ski development in 1962, designed by Sel Hannah. With Earle Vickery as area manager, Wachusett operated two T-Bars for the 1962-63 season, serving some 625 vertical feet. A recurring theme prior to snowmaking, opening day was postponed due to lack of snow. In late 1964, a new chalet was dedicated, as well as a trail. The popular Smith-Walton Trail was named after two local men who died while mountain climbing in Wyoming. The season was nevertheless a challenging one, as a lack of natural snow postponed opening day until late January. Wachusett Mountain Associates, Inc. was formed as a Massachusetts corporation by Polar Beverages' Ralph Crowley and ski instructor Normand Letarte on August 16, 1968. The Massachusetts Department of Natural Resources awarded them a 5 year lease of the ski area starting that month, reportedly for a $16,002 bid. Bob Mignone was hired from Otis Ridge to manage the ski area. With Letarte running the ski school, one of the first changes was to develop a new beginners area, as the area was perceived as lacking adequate novice terrain. In addition, sights were set on skiing from the summit, initially served by snowcat. While Wachusett Mountain Associates was looking to expand in the early 1970s, subsequent leases were awarded in one year increments, making it virtually impossible to install a chairlift. This changed in the early 1980s, however, as the area was awarded a longer term lease. A $7 million expansion project kicked off in 1982, initially with the installation of two double chairlifts. Further improvements took place for the 1982-83 season, as the Summit Area was finally opened, served by a double chairlift. 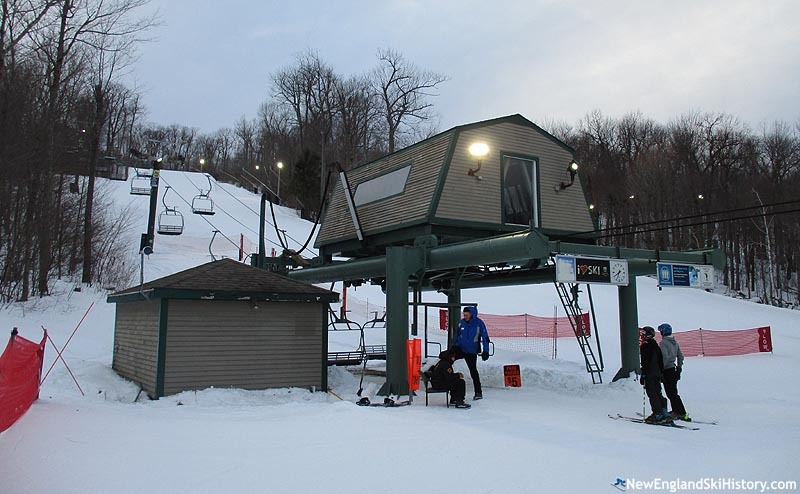 In addition, the Nor'Easter double chairlift was upgraded to a triple chairlift, and a 24,000 square foot base lodge was opened, making Wachusett the largest ski area east of the Connecticut River in Massachusetts. The expansion was perhaps a knock out blow to nearby rival Mt. Watatic. A new round of lift installations took place in the mid 1990s, starting with the installation of Massachusetts' first high speed detachable chairlift in 1994, the Polar Express. The state's second high speed quad was installed at the end of the decade, replacing the Nor'Easter Triple. Meanwhile, with skier visit counts amongst the highest in all of New England, Wachusett looked to expand its terrain. Unfortunately, Wachusett was forced to abandon plans for new trails off the summit in the mid 1990s due to concerns about old growth forest. Soon thereafter, the Sierra Club used the discovery of bootleg ski trails to demand the termination of the ski area lease. Though a dramatically scaled down terrain expansion was approved by the state in the spring of 1999, more delays were forthcoming. 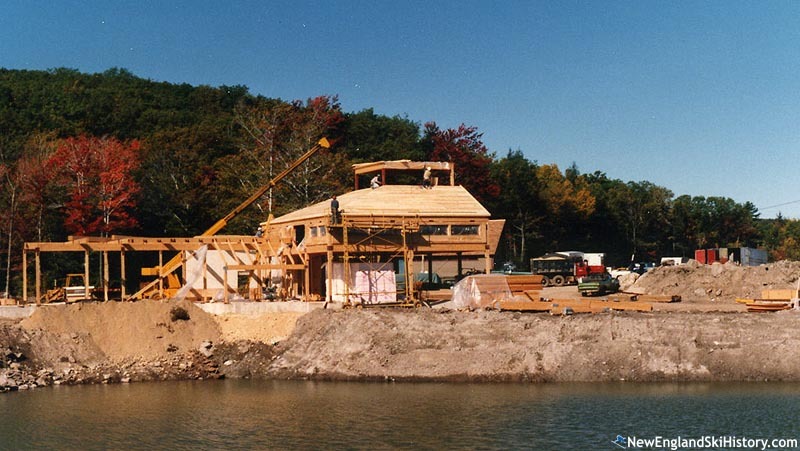 The Sierra Club sued Wachusett, leading to a court injunction to block construction in 2000. 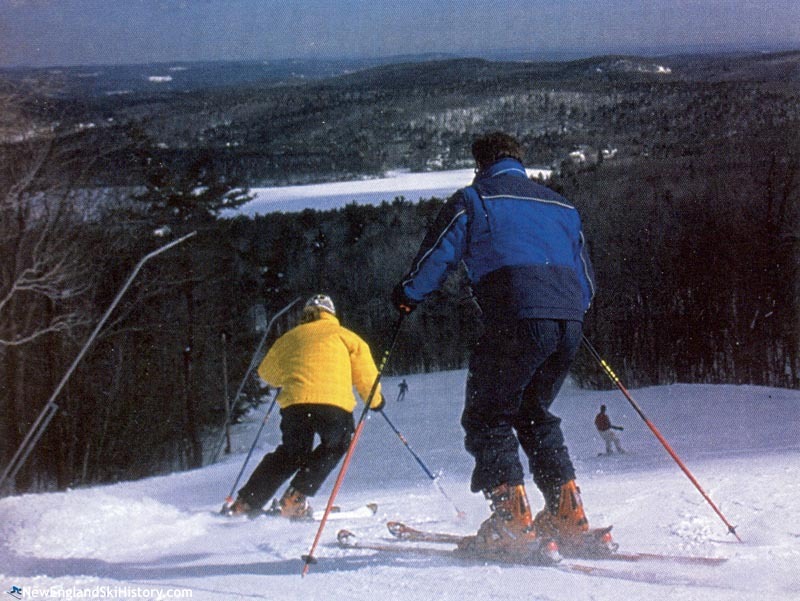 Nevertheless, years of red tape and protesting, Wachusett was able to open the Vickery Bowl in 2003, ushering in new terrain and a triple chairlift. The state's third detachable quad chairlift, the Monadnock Express, was installed for the 2011-12 season. Following an amazing winter of natural snowfall, Wachusett surprised skiers by operating the Vickery Bowl chairlift for skiing on May 2, 2015. A $2 million investment was made in 2016 when Wachusett doubled its snowmaking pumping capacity to 8,000 gallons per minute and installed its first batch of automated snowguns. In addition, RFID passes were introduced. Further technological improvements followed in 2017, when LED lights were installed on night skiing trails.